Households that already enjoy the benefits of an in-ground pool may be considering ways to make their backyard even more spa-like. If you’re looking into your options for hot tub installation near Salt Lake City , then you may be left wondering which one is right for your family. Decide what your hot tub’s primary purpose will be. While some people invest a spa for the relaxation aspect, others opt for hot tub installation chiefly for entertaining or for the therapeutic effects that they provide. Knowing what purpose you’d like your new spa to serve will play a crucial role in helping you find the right hot tub. Determine which features you want. Before spending time perusing sales floors, do some online research to find out what features are available for hot tub installation. By deciding what factors are essential in your new hot tub, as well as what you can live without, it can make the shopping process faster and less overwhelming. Examples include waterfalls, hydrotherapy, colored mood lighting, and built-in sound equipment. Think about how many people you would like your new hot tub to accommodate. The size of your new hot tub should play a major role in your decision-making process. While a cozy tub built for two may seem sufficient, you might find yourself wishing you’d invested in a family or party-sized hot tub a few years down the road. Smaller spas can be more affordable to run and simpler to maintain, but larger ones can allow for guests and growing families. The hot tub’s size will account for a significant part of your allotted budget, so it’s best to decide on this aspect early in the process. Make comfort a main objective. No matter your new hot tub’s intended purpose, it should serve as a comfortable oasis in all respects. Whenever possible, test out a hot tub when it’s filled and running. Climbing into a fully-functioning spa is the best way to determine if it will suit your personal needs. Does your backyard space lack interest or impact? Consider giving it a makeover with a water feature serving Salt Lake City. Whether paired with swimming pool installation or built as a standalone element, new water features can add movement, natural beauty, and elegance to your yard. Incorporating a bubbling fountain into your backyard landscaping design can provide the space with a pleasant and relaxing sound, making your yard even more enjoyable for you and your guests. 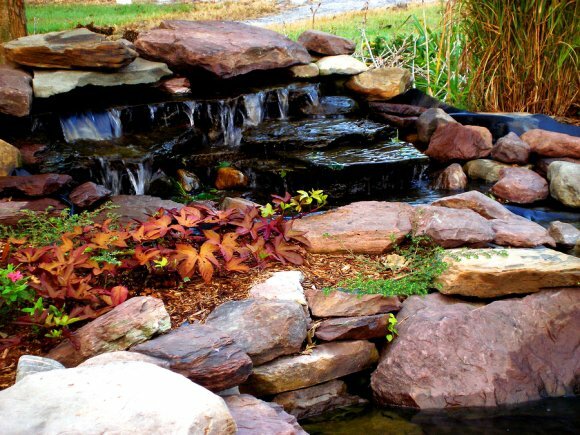 Koi ponds and waterfalls add depths of natural elegance to backyards that are difficult to match. Additionally, water features can draw wild birds to your property, which are lovely to watch and may fill your yard with birdsong. If you suspect that your yard can benefit from the beauty of a water feature, look for a swimming pool company that can help you find the features you want. In addition to pool and hot tub installation, look for a company that can design and construct fountains, ponds, and waterfalls for your backyard. The pool installation process usually takes about 4 to 6 weeks to complete. While the exact steps may vary between individual pools or pool contractors, there are several important steps for every pool building process. Before the installation can begin, you will first work with your pool contractor to determine the pool’s location, size, and shape. You’ll also decide on most of the details at this time, such as pool tile, surface texture, deck material, and if you would like a pool heater. Once you have a plan ready, excavation can begin. Your contractor will first measure and mark the shape of the pool. Next, the vegetation and landscaping in the area will be removed. Once the ground is ready, a hole will be dug to hold the pool and its plumbing. After the excavation is complete, panels and braces will be placed to create a framework for the walls of the pool. At this point, you will see your pool begin to take shape. Next, all of your pool’s plumbing and electrical wiring will be installed. In many cases, these steps will be completed by plumbing and electrical professionals. 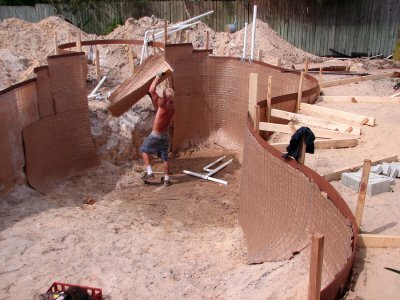 With all of the pipes and wiring in place, the concrete will be poured to form the shell of your pool. After this step, dirt is moved back around the pool to fill surrounding gaps, cover the plumbing, and create a surface for your deck. Once the backfilling is complete, the deck will be built, and a liner will be added to the pool. At this point, you will only need to replace the landscaping before you can enjoy your new backyard pool. If you have recently enjoyed backyard pool installation, you may be curious about pool maintenance near Salt Lake City . Like many other parts of your home, your new pool requires regular upkeep. This can be done through a swimming pool service company, but there are many aspects of pool maintenance, such as water testing, that you can do yourself. Watch this video for some helpful tips on testing your pool chemicals. During the summer, plan to test your water at least once per week, depending on how often it’s used. To test your water, you will need a pool testing kit, which you can find at your local pool maintenance shop. When you test your pool water, you should reach down about a foot deep to get a more accurate test sample. To measure the chemical levels, follow the instructions provided by your testing kit.